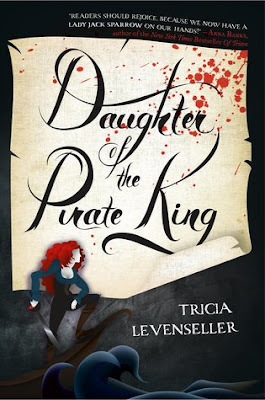 Without further ado, here is a fantastic interview with the lovely TRICIA LEVENSELLER, author of the forthcoming novel DAUGHTER OF THE PIRATE KING! Tricia Levenseller: First off, thanks so much for having me! I’m so excited to chat with you! I’m not one of those authors who writes every day. I’m big on setting writing goals, and those usually change from book to book. For DAUGHTER OF THE PIRATE KING’s sequel, I set a goal of writing 500 words, six days a week. Because that’s a fairly small and doable amount, I usually surpassed it. I’ll also put restrictions on myself. “No Netflix or Xbox until your writing is done.” For my current project, I’m participating in NaNoWriMo. My goal for this is to write 2,000 words, six days a week for the month of November. Tricia Levenseller: I think there’s so much power in writing about teens. Rowling could have had Dumbledore kill Voldemort. Coin could have killed Snow instead of Katniss. But don’t these stories mean so much more to us when we see younger characters taking out the bad guys? So many important decisions are made when we’re teens as we choose who we want to be and how we’ll behave. I think it’s fascinating writing about those problems while also trying to save the world. Describe DAUGHTER OF THE PIRATE KING in 10 words or less. Tricia Levenseller: Girl gets herself kidnapped on purpose to steal a map. 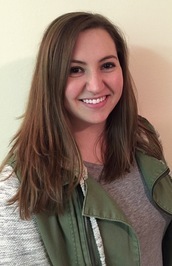 Tricia Levenseller: Pirates of the Caribbean is my favorite movie. I love how it combines fantasy with pirates. I really loved the idea of putting those two elements together for a story, but I knew I would want mine to have a female lead and a stronger romantic plotline. I also liked the idea of getting kidnapped by pirates. For a while, I couldn’t figure out how a competent, kickass pirate girl would get kidnapped by her enemies if she was so talented. Finally, I realized the only way it would work would be if she wanted to get kidnapped. And the reason for that would have to be that she needed to steal something from off her enemies’ ship. 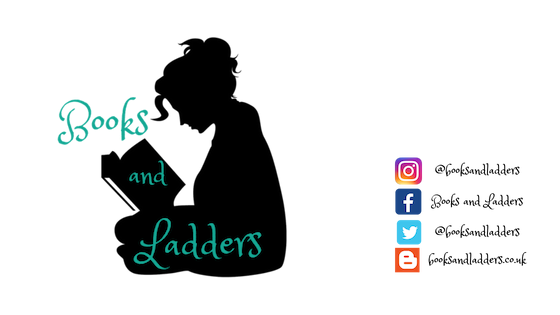 As for the fantastical element, I decided on sirens because I could fit them in so nicely with the plot I’d already constructed. Why is Alosa a great main character? Why did the story have to be told from her perspective? Tricia Levenseller: Alosa is likely to kill you first and ask questions later, but she’ll do it while managing not to get blood on her gorgeous outfit. The thing I love most about Alosa is that she’s so proactive. She gets things done. If her dad needs a treasure map from their enemies, she’s going to go steal it. If someone needs a distraction, she’s going in pistols drawn. If one of her crew members is in trouble, she’ll save them. She’s also cunning. I wrote her as an unreliable narrator because she just kept doing things that surprised me. Also her connection to the pirate king definitely put her in the most interesting viewpoint for this story. What is your favourite aspect of the relationship between Alosa and Riden? Tricia Levenseller: I love how they challenge each other. They both make the mistake of thinking they’re always right. They both like to give orders and be the one in charge. And when their opinions clash, they get into the most amusing fights. What research did you do to write your novel? Tricia Levenseller: I knew nothing about ships and sailing before deciding to write this book. And if I wanted to write a pirate captain, I definitely had to learn. I also had to learn a whole bunch of nautical terms and sailing terms. I watched videos on ocean storms and did research on different kinds of sea life. I think it’s fun learning new things and then getting to incorporate them into a story.